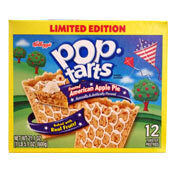 Kellogg's has given us a new patriotic limited edition Pop-Tart for the summer of 2012 called Frosted American Apple Pie. It was introduced shortly before the 4th of July and will last, presumably, a little beyond the Olympics. 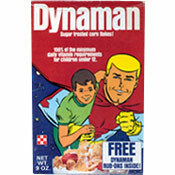 My advice to Kellogg's: Drop the "limited edition" and keep this one around. In comparison to most other Pop-Tart varieties, this is a winner. I love the USA and I love themed Pop-Tarts, but for me this one is all about the flavor. It tastes remarkably like apple pie... specifically bites of apple pie crust with a little apple filling attached. Some might argue those are the best bites. So often, apple flavoring in commercial pastries tastes more like hard apple candies than actual apples. Mind you, there's a touch of that artificial flavor, but the overwhelming impression of the filling is one of real apple. Appropriately, the crust tastes like pie crust. As always with sweet toaster pasties, I want to remind you that they should be eaten as treats. If you've been on egg whites and oatmeal for a few days and feel you deserve to indulge your sweet tooth, go for it. But with 14 grams of sugar per pastry and virtually no dietary fiber, you won't be doing your body any favors by eating these daily. So in summary: Go USA! We make the best toaster pastries in the world. Nutritional Considerations: Each single pastry has 200 calories, 5 grams total fat (1.5 saturated and 0 trans), 0 mg cholesterol, 160 mg sodium, 35 grams total carbs, less than 1 gram dietary fiber, 14 grams sugar and 2 grams protein. 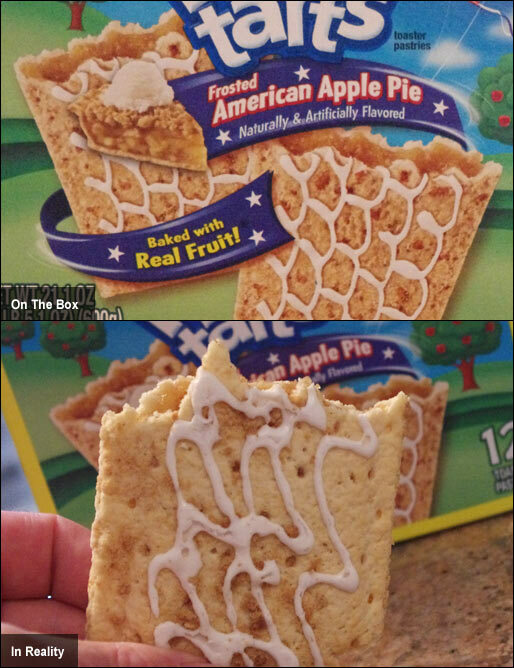 What do you think of American Apple Pie Pop-Tarts? I had this and LOVED it. I should have stocked up on a few boxes at Target because I can't find it anymore. I hope they bring it back again soon. Apple pie seems perfect for the fall so it's sad to see it go.